Ark-La-Miss Fair ABBA Show was held in Monroe, Louisiana on September 20th. This year, K Bar Farms claimed another championship title with KF-CCC Skeeter 222/2 by winning the Grand Champion & Junior Champion Red Bull award this past weekend. 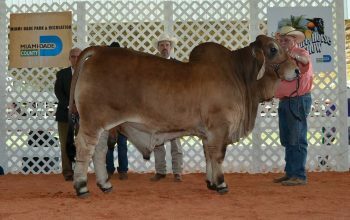 Skeeter had another amazing showing and will be taking home another Grand Champion award for K Bar Farms. A congratulations goes out to everyone that had participated in this event. 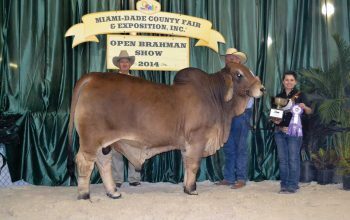 Okie Extravaganza was held on June 13 and 14. This year, K Bar Farms claimed another championship title with KF-CCC Skeeter 222/2 by winning the Grand Champion & Intermediate Champion Red Bull award this past weekend. 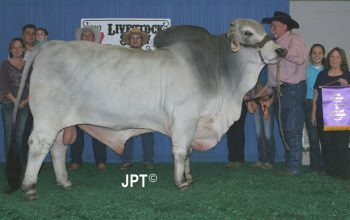 Skeeter had another amazing showing and will be taking home another Grand Champion award for K Bar. A congratulations goes out to everyone that had participated in this event. 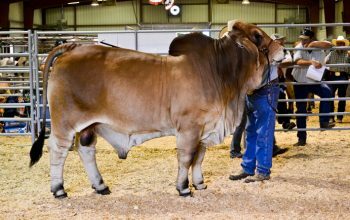 K-Bar Farms traveled down the road to Jackson, Mississippi for the Dixie National Livestock Show and our showing was a very huge success! 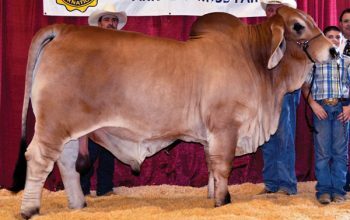 KF-CCC Skeeter 222/2 managed to pull the 2014 Dixie National Livestock Show Grand Champion & Intermediate Champion Red Bull titles and KF Mr. 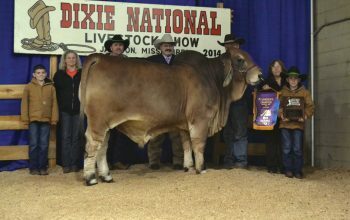 Majestic Crossfire 147 came away with the 2014 Dixie National Livestock Show Grand Champion & Senior Champion Gray Bull! 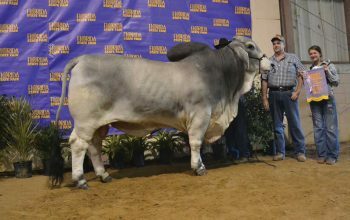 State Fair of Louisiana was October 24th – November 10th. 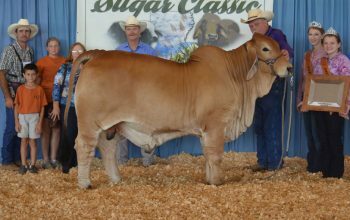 This year, K Bar Farms claimed two big championship titles with KF-CCC Skeeter 222/2 and KF Mr. Majestic Crossfire 147. KF Mr. 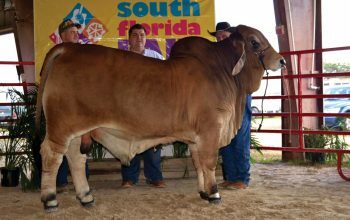 Majestic Crossfire 147 brought home the 2013 State Fair of Louisiana Grand Champion & Senior Champion Gray Bull and KF-CCC Skeeter 222/2 brought home the 2013 State Fair of Louisiana Reserve Grand Champion & Calf Champion Red Bull. These two bulls had an amazing outing and plan on bringing home more wins. A congratulations goes out to everyone that had participated in this event. Arkansas State Fair was October 11th – 20th. This year, K Bar Farms claimed two championship titles with KF-CCC Skeeter 222/2 and KF Mr. Majestic Crossfire 147. KF Mr. 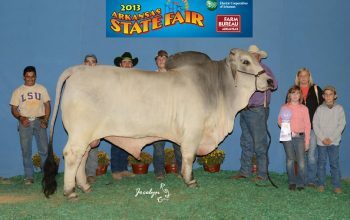 Majestic Crossfire 147 brought home the 2013 Arkansas State Fair Reserve Grand Champion & Reserve Senior Champion Gray Bull and KF-CCC Skeeter 222/2 brought home the 2013 Arkansas State Fair Calf Champion Red Bull. These two bulls had an amazing outing and plan on bringing home more wins. A congratulations goes out to everyone that had participated in this event.